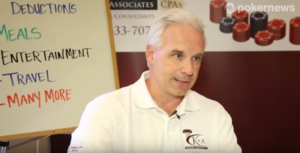 Along with my Top Pair Home Game Poker Podcast co-host Bruce Briggs, I recently interviewed Ray Kondler, a CPA specializing in the taxation of poker players. 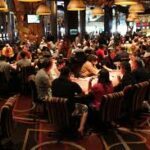 For years, Ray has advised numerous poker players, both professional and recreational, on all tax-related matters associated with poker income, one-time winnings, deductions, and the like. 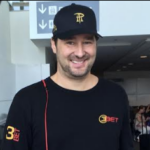 Below, you’ll find the entirety of Episode 259 of the Top Pair Home Game Poker podcast, which includes the interview with Ray starting at the 13:10-minute mark. You can also read the summarized transcript below. Ray Kondler is a CPA who is located in Las Vegas and is well known for specializing in advising gamblers and poker players on their tax requirements as well as tax strategies to deal with both winning and losing players. Thanks for timing the time out to join us. This is a real treat. We saw on YouTube that you were at the WSOP in 2014, but let’s start out with a bit of background on you and how you got into specializing on poker and gambling. We’ve had the practice in Vegas since 2007, and obviously there was already a gaming presence. We worked with a lot of casinos and subsequently we were getting a lot of referrals from gamblers winning big jackpots and tournaments. Then, four or five years ago we headed down to the WSOP at the Rio and we got booth there, and in the first year we had tremendous success. We were there for six weeks every day, from 9am until midnight, and met a lot of players. It was educational for everyone. We never charge for calls, emails or simple consultations so we had people stopping by just to ask us questions and that first year was incredible. 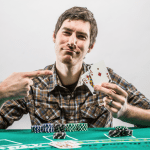 People had no idea what to do with their W2G after winning a bracelet or a $10,000 WSOP seat. A lot of accountants don’t have the knowledge that we have, and we took our experience there to see what we can do. 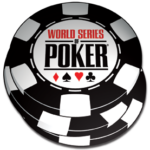 In subsequent years we got more well-known, and in fact the WSOP now sends us to their circuit events and we have booths there where we educate the players as well. There are big bracelet winners who don’t file! People that you know for years and years. It’s one of those things where we’re just trying to educate people to file their taxes, files them on time and get everything sorted. Do you play poker yourself, or have some home game experience? I’m definitely a learning player. It’s interesting because my wife asks me what I do to relax, and the answer is “Well, I look at more numbers” I’ve taken lessons with a lot of good pros, and my game is definitely expanding. I’ll never get to their level of thinking or anything, but I’ve had a pretty good education in the last couple years. I play locally and I do pretty well, I make a lot of final tables I just don’t win. I’m trying to find out how to get to that next level. Hopefully I can get a little bit better and try to cash this year at the WSOP, but it’s interesting because we go to all these events at the Rio or the circuit events where we’re playing with the guys. The poker thing is an interesting niche. We know what they go through with chopping and pay jumps, so they look at us and know that we know what we’re talking about. So if they ask us questions, we know what they’re talking about. So are you a Las Vegas native? I’m from New Jersey originally. I did public accounting in NYC and lived in New Jersey, and we still have a firm in New Jersey. It’s more of a tax practice and Vegas is more poker tax audit office. I go back and forth. We had houses in New Jersey and Vegas and sold the New Jersey house last year and now we’re full time Vegas people which helps our taxes. How many CPAs are there in the firm? In New Jersey we have five and in Vegas we have 15 personnel. Sounds like a good home game! I play against my son and all the younger kids. I play a lot at the casino with my son and a couple of other staff. We’re all involved in the game. So did you play any home games growing up; in college or in high school? No, really just started taking it up once I got to Vegas. My father was a blackjack player and always loved cards. The more I got into Texas Hold’em and even to this day the game is still learning every day. I played last week and went to the circuit events and played and saw all this new stuff. As your listeners know, every day you learn something else. Take poker notes and try to remember for the next time you’re in that situation. It’s just a great game. At Top Pair we’re not all bracelet winners or high rollers, so just wondering whether you’re playing a low stakes home game or $1/$2 or $2/$4 limit, what should a low stakes home games player be keeping track of for tax purposes? We get this question a lot, especially people who cash for their first time. Do I have to file? And the question is that if you look at every IRS website or document – you have to file if you have income. It’s kind of a sticky point because if you look at the IRS guidelines you have to basically record your income each session. They talk about sessions. The little lady who goes to the casino and plays there one day and wins $500 says she plays from 8-9am; that’s a session. IRS wants you to record your sessions. Do people do that? Of course not. Every US citizen has to report their income that they earn for the year, so that could be anything from a cash game at home to a bracelet. Even if you’re playing once in a while or every couple of weeks? In the IRS mind-set it’s income. But are people reporting that, in most cases not. But if it’s a lot of cash involved and never gets deposited, then I’m sure people aren’t telling me anything about that. But as a CPA my job is to say “Hey! You’re supposed to pay tax on your income no matter what you’re earning.” Any gross income is supposed to be reported. So if you’re a stand-up guy and maybe you’ve won $50 in a home game, 10 times in the year. So you have $500, and you report it. What things can you do to offset that? Well there’s two options. One you can file as an amateur, and one you can file as a professional. Most people who play in the cash games will have other types of income; this won’t be their main profession, so they would file as an amateur. And as an amateur you will report your winnings on one section and your losses on another. So if you have this guy who wins $5,000 he would show $5,000 in gross winnings, and schedule A would have the losses against it. Those losses can come from any type of gambling, they don’t have to be poker only. I feel like for a tournament player that’s easier because you have a result, but cash games or blackjack it’s not recorded. We have a lot of players who have logbooks and they will have a logbook for tournaments, one for SNGs, one for blackjack, slots, and roulette. One each. Then you can say on March 16th for example, I sat down for $50 at blackjack and ended with zero. So that’s documentation that the IRS would accept. There’s a lot of trust involved. Our clients keep these perfect logbooks or excel spreadsheets, but we’ve been through audits for clients. There is trust involved and the IRS could make a point and audit looking for every other $50, but we haven’t found that to be the case. Are there other things you can offset other than losses if you’re say hosting a game and you’ve bought cards and chips? If you file as a professional yes, no doubt. As an amateur that probably go by your losses. If I was running a game and I had expenses and I ended up winning, I’d have no problems taking it as an expense. It’s part of the making the money, but that’s my opinion. There’s more to that in terms of if there has been any cases on that. As the professional can take all the losses like the amateur, but on top of that you can take all the expenses associated with his “business”. When would you advise people to change between amateur and professional? So it’s a case by case business. It’s not a case if you’re income is X amount stay amateur, or more turn professional? Depending on where a person lives, would a tax liability be bigger? If you live in California or any state that has state income tax, if you’re showing a profit you have to play income tax on that. People stop by the booth and say they just won a bracelet we’re like “Hey didn’t you just buy that condo in Nevada the other week?” because California is like 9-10%, and the taxes are huge. And there are some states like Massachusetts that don’t allow gambling losses to be deducted against gambling winnings, so basically people in Massachusetts we have to find out if we can classify them as a professional, because then their losses are deductible from Schedule C.
Let’s just take an example at the booth: all of a sudden a middle aged lady comes up and she’s flustered and she just hit a four or five figure win in a tournament or jackpot, and she just asks what she can do. She’s just a lucky amateur – what do you tell them? That happens a lot in home games say you have ten guys and one guy comes as the group representative and each will have 10%, and even though Joe Bloggs will have all this income recorded, in fact he’ll only have 10%. So what he’ll do is file a return and then we’ll have to liaise with all the backers to try and organize all of their tax returns, and whether or not they’re all amateurs or professionals. I’ve always wondered as I’ve been in a couple of them, and there’s a lot of trust involved. Maybe a bracelet or a six-figure prize, and they’re looking to you to pay the taxes, and if you don’t pay them does that go back to the guy who won? Once you send the income out, it’s not part of your earnings. We deal with a lot of foreigners as well it gets into withholding tax. At the booth we didn’t anticipate the number of international players who gave us their business. Once they win an amount of $5,000 if there is no treaty, the IRS takes out 30% right on the spot and they have to file for that back. And if there’s an international backer then you have to withhold the 30%. It’s complicated but trust us we can handle all of that. They are not required to take anything out. It’s not their job to manage the money you’ve won. I will argue that with the president of the casino. As a US citizen there is no requirement to withhold a dollar. I will tell you of every W2G which are thousands, one of them had withholding. And we got all of it back because she had losses against it. The only requirement for them to withhold money is if you don’t have a US social security number or passport. I have one more question and it’s theoretical, but I hope it becomes an actual reality! When I win a bracelet, is the bracelet taxable? It’s part of the income. It is income to you, but I’ve never seen it ever given out a 1099 form for it. They can be valuable too! You wear it too! Well in the IRS’s mind it would be considered some kind of income. You got something for winning; it has a value but you have to go and get it appraised. I’ve never seen it been in a 1099 form. When I win my bracelet I’ll ask you. This has been a hot topic on different things as far as online poker and gambling – what’s the situation with fantasy sports. We do a lot of work of work with fantasy sports these days, and it does make a difference if it is considered a game of skill or chance; be that slots, poker, fantasy or whatever. Regardless, the IRS will still look at it as income. Congress will say something different. The IRS sees it as income. So will you be at the WSOP again this summer? We’ll be there every year. We’re thinking of doing a class down there. We’ve gone on a couple other radio shows, and I’m in the process of writing a book on a couple of taxation issues. I’ll play in a couple of events and try to see if my skill has advanced a bit. But judging by the last couple of days maybe not. We enjoy being there and just meeting people and giving them advance. Even if they take our advice and share it with their other accountants, that’s OK. Guys say “I love my tax guy, but he knows nothing about poker. I want him to do the returns” so we’ll prepare the schedule C for the client, and he takes it to his accountant. We’ve done that before. It’s a pleasure. 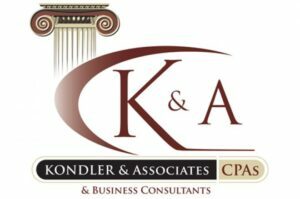 Our website is kondlercpa.com and they can easily find us there or on Twitter. The name of the firm is Kondler & Associates and our Vegas number is (702) 433-7075. We never charge for calls, consultations or emails. I’ll gladly give anyone advice.